Unique Moments Photography of Gig Harbor covers your wedding from start to finish. Salon shots are a lot of fun and a great way for us to mix it up with the bridal party. 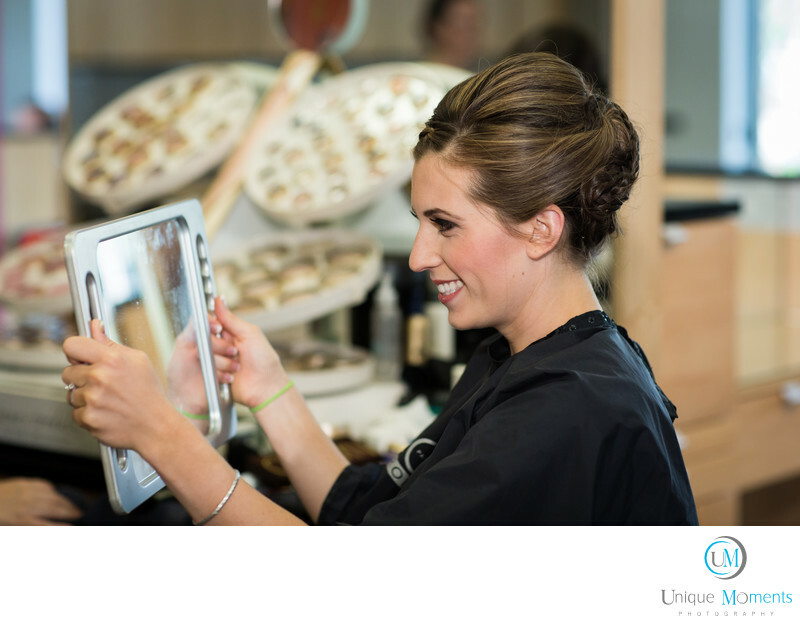 We Loved this images because the bride was so pleased when she looked at the final results at the salon. It was everything that she had envisioned before she walked in. Depending on the time lines and whats in the plans for the weddings, we don't mind getting to a salon to capture images, especially if the wedding in local to our area. Location: 809 N Harborview Dr, Gig Harbor, WA 98332.